At its best, ‘Suspiria’ is the most fractured and unsettled work that Thom Yorke has ever produced. Outside of the storied and celebrated output of Radiohead, many of the group’s members have enjoyed acclaimed solo careers. The most noted of these has been guitarist Jonny Greenwood, whose original scores for the likes of There Will Be Blood and Phantom Thread received huge plaudits over the last ten years. While he’s enjoyed a sporadic career in his own right, stretching back well over a decade, it’s now the turn of lead singer Thom Yorke to try his hand at film soundtrack work. After months of overtures from filmmaker Luca Guadagnino, he eventually agreed to provide the score for the director’s brand new re-make of Dario Argento’s classic cult 1977 horror movie Suspiria. Given the brilliant work of his bandmate, it’s been pretty much unquestionably accepted that Yorke will do a great job with this. His ghostly falsetto, one of the most distinctive voices in British music of the last 25 years, is certainly suited to the demands of a psychological horror movie, whose dynamics rely more on suspense than ‘quiet-quiet-bang’ jump scares – and definitely more so than a James Bond thriller, judging by his puzzling and obviously doomed attempt to record the theme tune to Spectre. Lo and behold, message and medium combine beautifully on Suspiria, making this a successful if occasionally predictable foray into soundtrack work. Throughout, Yorke largely rejects the tight, cycling and demonic riffs of Goblin’s much-beloved score for the original in favour of loose, sparse arrangements. The pulse and thrum of krautrock, the impressionistic aesthetics of musique concrѐte and Aphex Twin atmospherics are the primary building blocks of his vision for Suspiria. As is often par for the course with an original soundtrack album, one particular musical motif is recurrent throughout. When you hear that simple four-note piano figure, you know that Yorke is very much in his element. The brief instrumentals, which rely more atmosphere than songcraft, such as the brief overture ‘A Storm That Took Everything’ and the blood-chilling ‘Sabbath Incantation’, are as memorable as the more fully-formed songs. The slow waltz of ‘Suspirium’ is evocative of the spine-tingling ‘Analyse’ from 2006’s The Eraser (itself used memorably in Christopher Nolan’s The Prestige), both chilling and thrilling at the same time. The dirge-like sitar drone and funereal shuffling of ‘Has Ended’ (featuring Yorke’s 17 year old son Noah on drums!) and the queasy, drifting and slowly distorting synthesiser of ‘Volk’ are a couple of the more listener-friendly standouts. ‘Open Again’ is the most recognisably ‘Radiohead’ moment in the soundtrack, as is the more serene ‘Unmade’. The blissful yet spooky ‘The Universe Is Indifferent’ could even have come from Amnesiac or A Moon Shaped Pool. 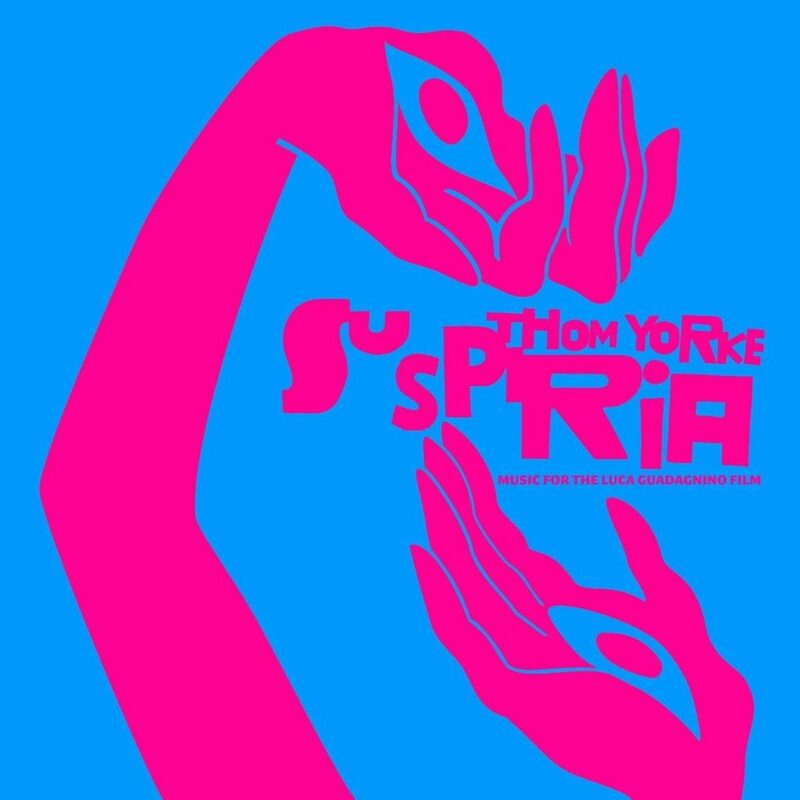 Listen to Suspiria (Music For The Luca Guadagnino Film) by Thom Yorke here via Spotify, and tell us what you think below!